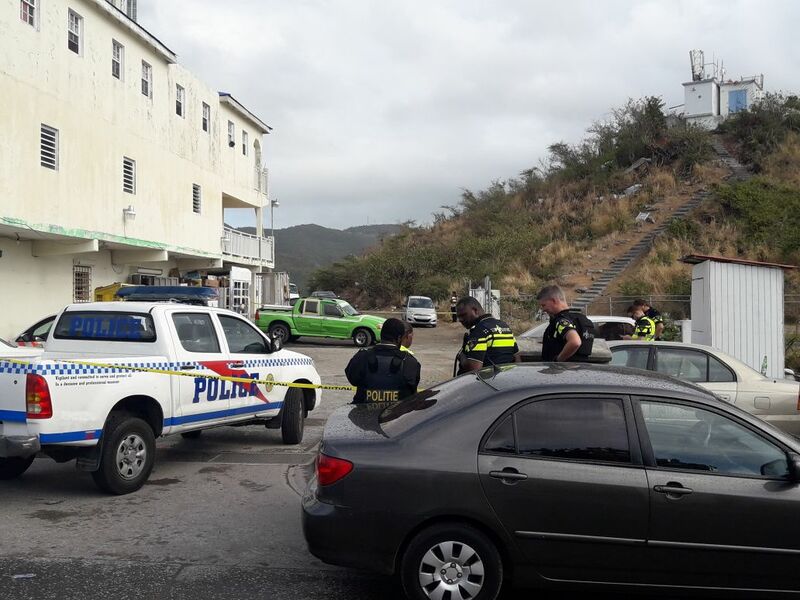 The Special Unit robbery is presently investigating an armed robbery which took place on Oyster Pond Road on Tuesday March 20th at approximately 08.00 p.m. According to the couple that was robbed while driving towards Dawn beach they were blocked by a car in which two unknown men were driving. These two men jumped out of their vehicle and approached the victims. The two suspects were armed with guns and threatened to use them. The victims were then robbed of an undisclosed amount of cash, their I-phones and the keys to their vehicle. After committing this act the suspects jumped back into their vehicle and fled the scene. Detectives are presently investigating a shooting incident which took place on Wednesday shortly before 07.00 a.m. in front of Fu Yung Supermarket located on Middle Region road close to Romeo’s drive. The first of several calls came in to the Emergency Dispatch stating that an argument had taken place between two men which escalated into a fight. At one point during this confrontation the suspect pulled a gun and fired several shots at the victim who took off running. The suspect briefly chased the victim through the area. The victim was later found bleeding from a wound to his upper body on Ginger Island Drive. 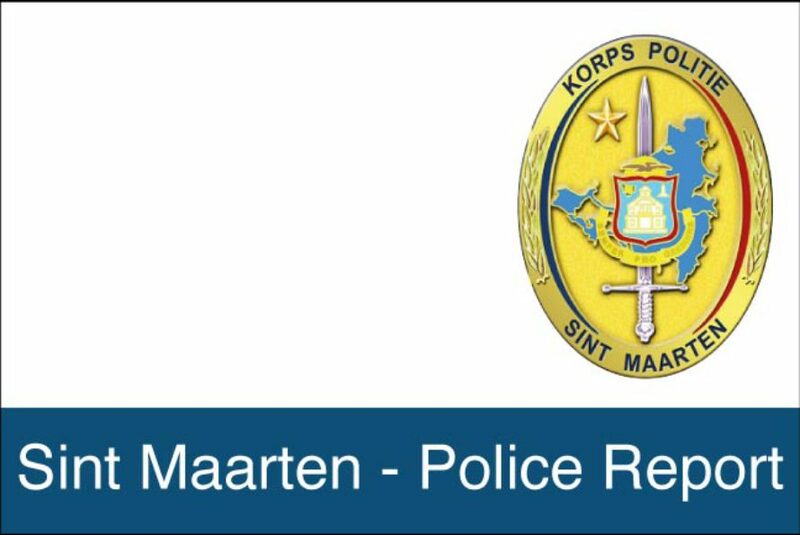 The victim was treated on the scene by paramedics and then taken to the Sint Maarten Medical Center for treatment. The suspect in the meantime fled the area and was not arrested. The crime scene was secured by the responding officers for the Forensic Department to collect evidence and the Detectives to question witnesses. The victim is in stable condition has been admitted for observation. The reason for the shooting is still unclear. As more information becomes available the media will be informed. On Wednesday March 21st, 21 students from the Prince Willem Alexander School visited the Police Head Quarters in Philipsburg. 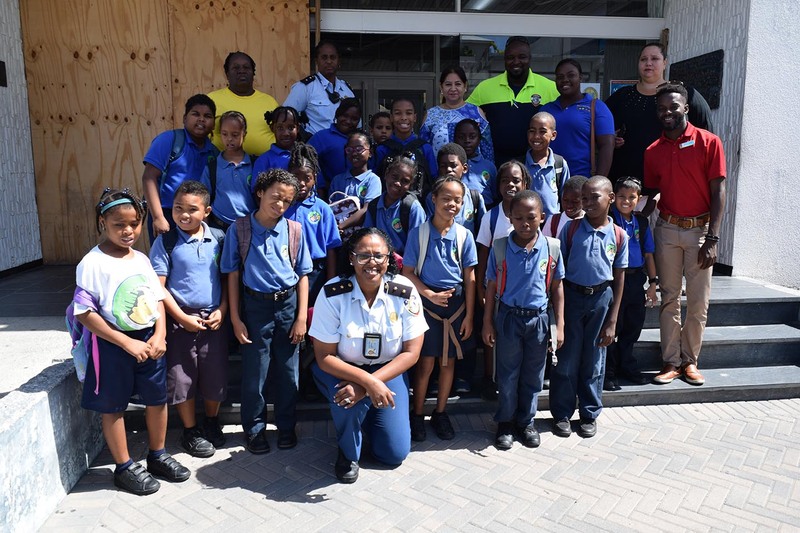 At the police station they were greeted by the Community Police Officers/ Inspectors Rensley Henson, Helen Romeo and Arcella Leonard. The children who were very enthusiastic asked many question as they were given a grand tour of the police station and an explanation on what the police do on a daily basis. After the tour the student posed for a quick group photo.